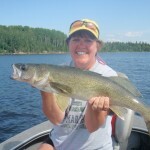 For this year’s standards, I would call this week average for walleye fishing production and volume. There were some good days and great bites mixed in with some slow afternoons and quiet mornings. 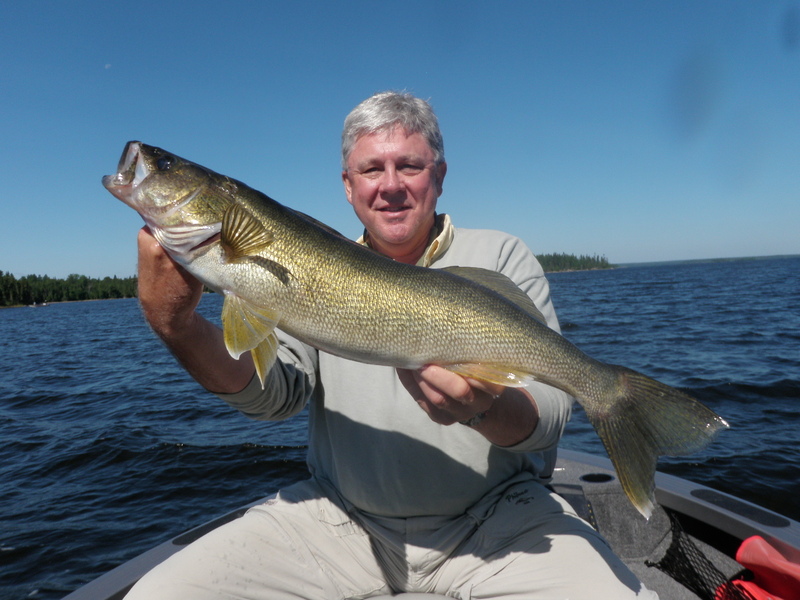 On average, it was flatter winds and warmer than normal on the lake this week. After hearing reports from the US Midwest, we wouldn’t dare call it Hot, but we did have quite a few days of bright sunshine and warm humidity. It was a bit of a schizophrenic week for locations and patterns, but the trend was generally shallower than normal, with most production coming from 12 – 20 f.o.w. 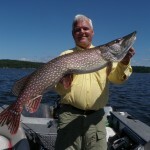 We did catch some nice fish down deep, but they had very little company. 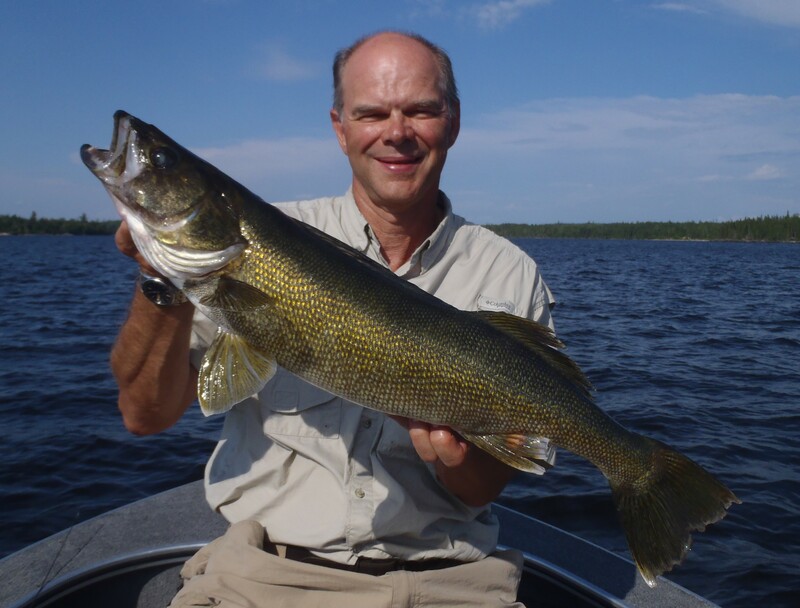 If you needed to catch some eaters, the deep side of the weeds was the ticket. 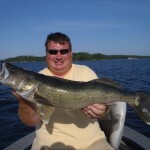 The weeds did produce some nice fish, but there were also some extremely good catches made on main lake shallow rock. 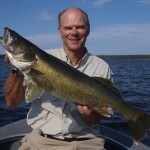 Both chunk rock and massive boulder sections on main lake islands in 10 – 20 ft. turned large numbers of big walleyes for guides pulling bouncers and spinners or big jigs and Gulp. 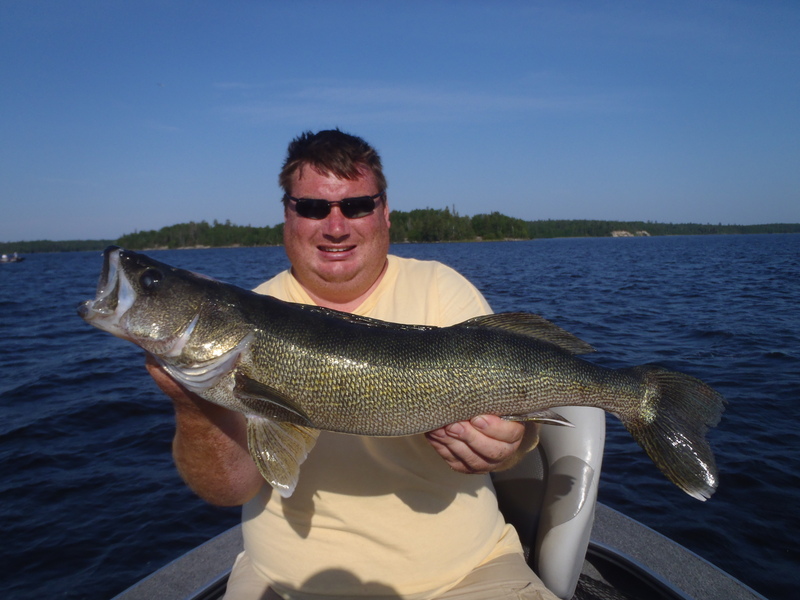 One of the best big fish bites of the week was a windy day on the top of a main lake sand break in 14 – 16 ft. Really, the walleyes were all over the map and many were suspended, which is always a challenge. 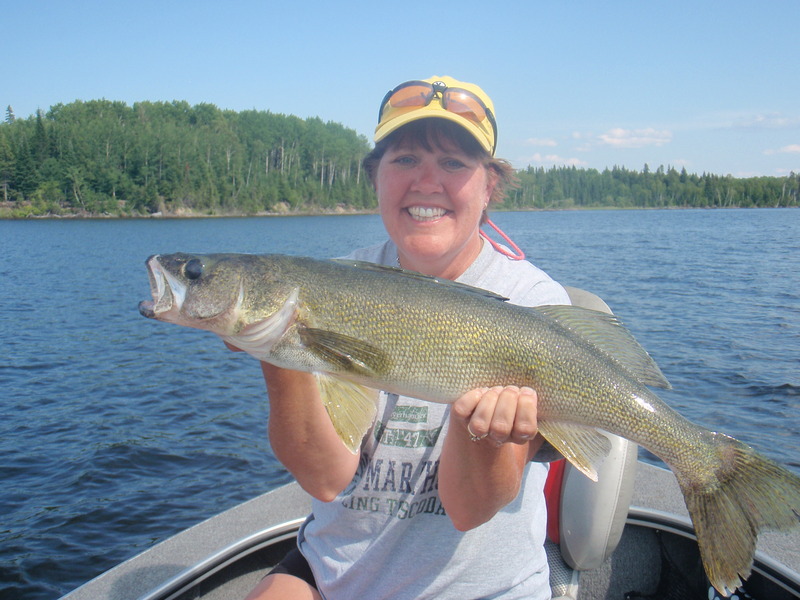 For the week we had 32 walleyes over 27 in., including 3 – 28s, and 1 – 29. Volume was so variable that an average really doesn’t mean anything. 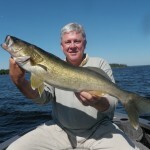 One group would put 35 walleyes over 18 on the page in a morning and another would put 5. In the afternoon, the results were opposite. 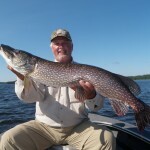 It was one of those weeks when you came back to the lodge with no idea of how well the rest of the boats had done. It usually took at least 10 experiments to find a pattern for the day and that pattern either worked for the rest of the day or it didn’t. One of our guides had a career best volume day at the same time that some of the senior guides did not do so well. As a group, we were all over and we used those experiences to hone in on transient bites as they developed. 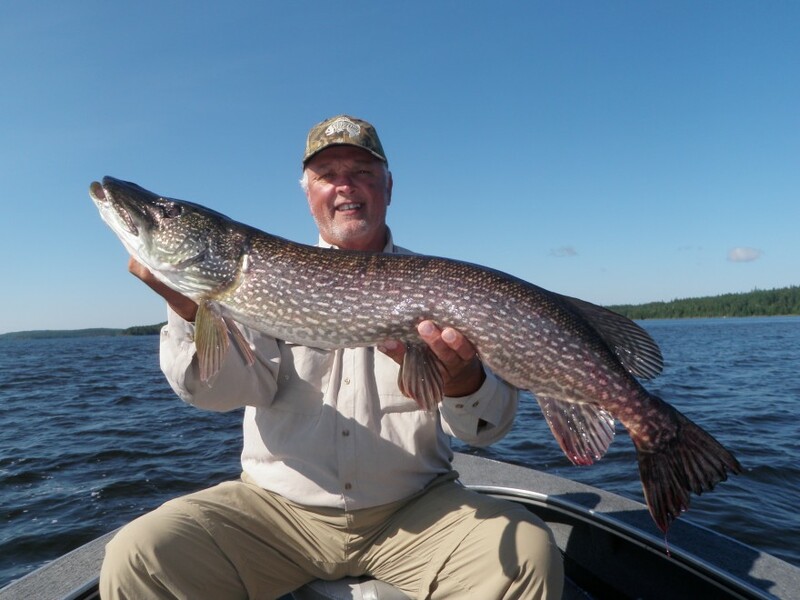 We had several groups spend at least ½ of their days chasing pike this past week. 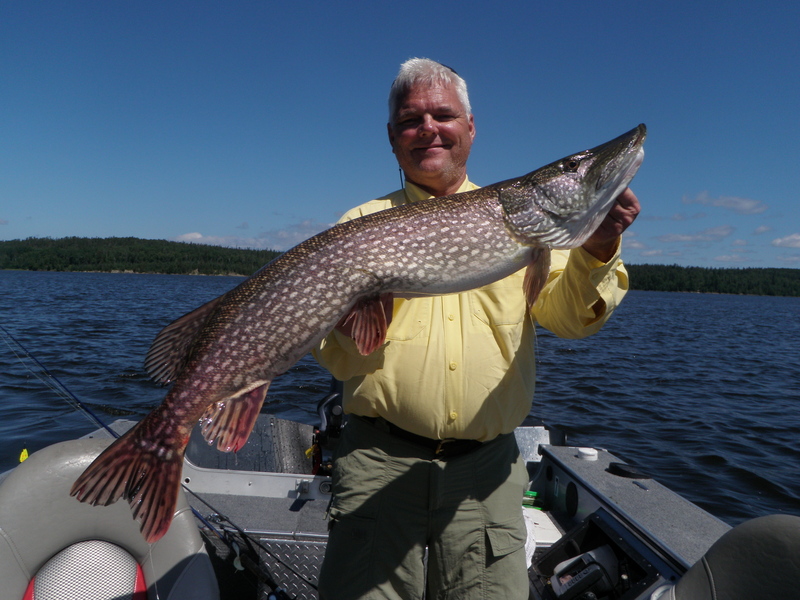 Volume was good in shallow weed beds, but there were not many monsters boated. We had a few hi 30s and one 44 in. giant for the week. 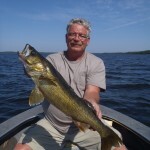 Overall, it was a really nice weather week to be on Lac Seul with lots of sunshine. Sometimes that helped the bite and at other times it made it a bit more of a challenge. 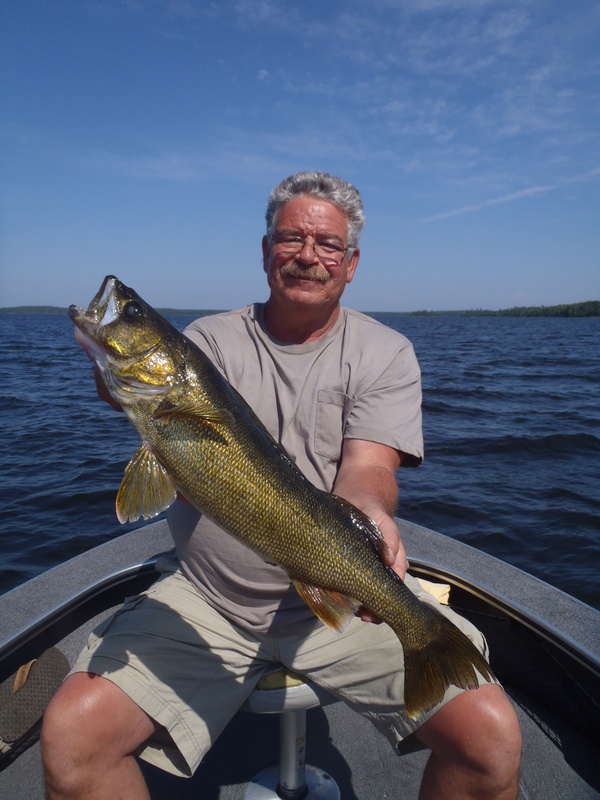 The take away is that even with flat calm water and transient patterns, the sheer number of big walleyes present in the main lake basins of Lac Seul can help turn poor conditions into a great fishing day.